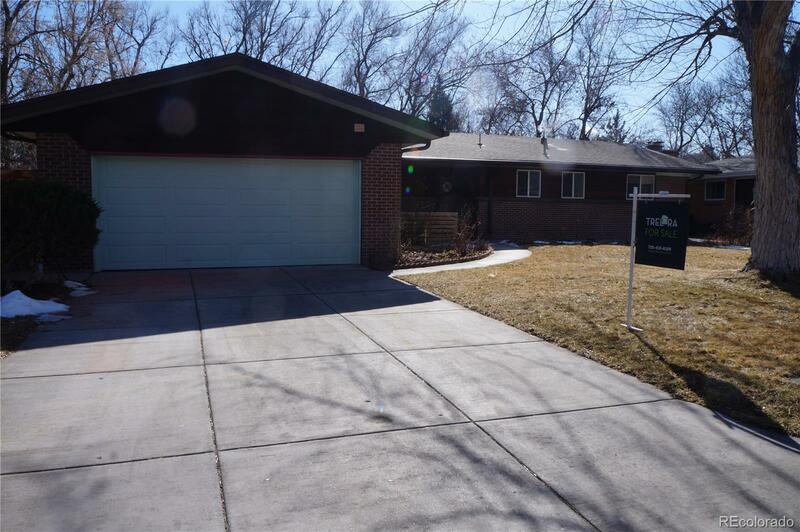 FANTASTIC single-family, ranch-style home with fully-finished basement. Your future forever home offers 5 bedrooms, and backs to Green Belt with Creek and mature trees for privacy! Main level has 3 Bedrooms, including the Master with ensuite. Gorgeous, original pencil hardwood flooring and tile floor mix. Spacious Living Room with picture window overlooking your beautiful, private, BIG back yard with private well for yard watering. Home features upper and lower level Family Rooms with rare wood-burning fireplaces. Finished basement is set up for entertaining, with a wet bar, and custom z-brick architecture throughoutâmust see! Lots of hidden nooks and storage! Convenient to I-70! Welcome to your forever home! Call now to schedule your personal showing!